Buy Magnesium Oil Ultra 240ml and get 1 free (SHORT DATED STOCK for both units expiry date 06/19). Use the code ULTRAOILFREE at the checkout. 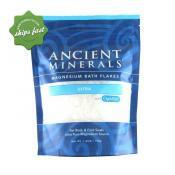 add magnesium chloride flakes to a bath or foot soak. 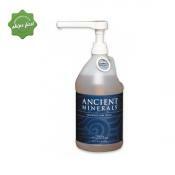 Ancient Minerals Magnesium Lotion is a specially formulated lotion rich in Magnesium Oil. 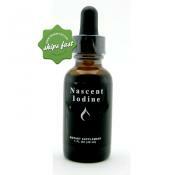 It is a transdermal magnesium therapy aid absorbed through the skin up to 12x faster. Dr Mark Sircus examines how this amazing mineral that is so overlooked by the majority. And how it affects so many aspects of our health including cancer, heart disease, diabetes, depression, asthma, inflammation, arthritis and autism. Carolyn Dean, M.D., N.D., is a medical doctor, naturopath, acupuncturist, homeopath, herbalist, and certified clinical nutritionist. Discover the missing link to total health. 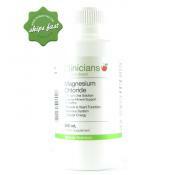 By taking Clinicians Magnesium Chloride 45 Percent Solution it may help you to absorb and utilize magnesium more efficiently as it comes in a liquid form. Magnesium has many benefits and roles in helping to support the proper functioning of the body. Magnesium oil has many benefits it works as a great alternative to taking an oral supplements. Which great if you get stomach upsets, or food allergies and find you are not absorbing magnesium tablets or powders. It has been called "yoga class in a bottle" or a "massure in a bottle" as it supports your body and health. Ancient Minerals Magnesium is particularly recognised because of it's purity so you get peace of mind that the magnesium supplement you have chosen is ultra pure and has been sourced away from man made pollutants as this 250 million year old seabed became isolated underground before the industrial revolution. (unlike other brands). 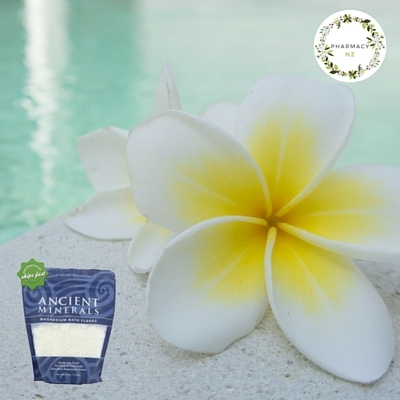 It acts like a treat for your skin, you rub it on after a workout, a days snowboarding or just before bed to support your body with magnesium through the largest organ in the body - the skin. 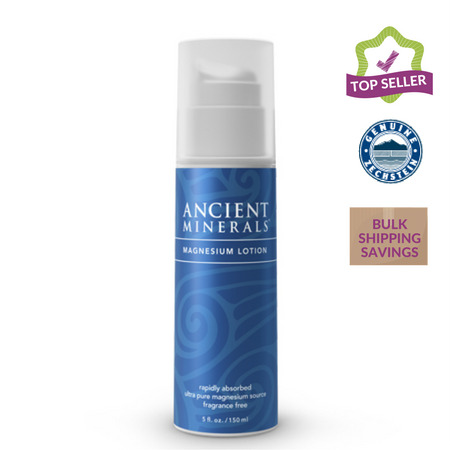 Ancient Minerals Magnesium Oil is the #1 most recommended magnesium oil among health practitioners and nutritionists worldwide. This magnesium oil comes from a deep underground 250-million-year-old inactive sea of magnesium chloride oil that has never been touched by modern day pollution and there is enough of it down there to last humanity hundreds of years. As a topical form of magnesium supplement (rather than an oral supplement or powder). Mix into your home made skincare products, deodorants or homeopathic remedies. 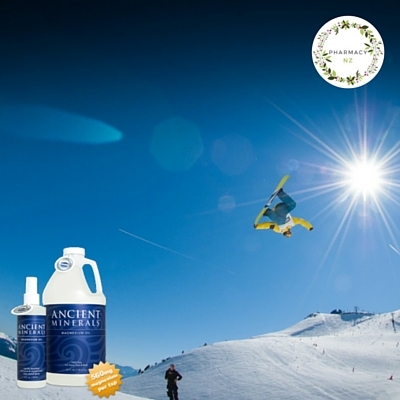 Apply to sore tired muslces after a days snowboarding, at the gym or out hiking. Magnesium oilis different to a magnesium supplement as you apply it to your skin the largest organ in the body "transdermally" which is perfect if you hate taking pills or powders. The oil comes in a spray which you spritz onto the skin and massage in. A masseur in a bottle. This is the strongest form of magnesium oil and should not be applied to broken skin. If you have sensitive skin or should you experience any discomfort you can simply rinse it off with warm water and dilute the amount you apply to your skin next time to 1/2 magnesium and 1/2 water. Magnesium Lotion or Gel are great dual purpose products because you can combine your magnesium supplementation with skincare, and give yourself a nourishing and relaxing massage as you moisturise. Perfect for massage applications. 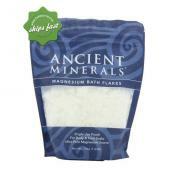 Magnesium Flakes can be popped into a bath for a long warm relaxing soak or foot soak. These are safe for the whole family to use and perfect if you have sensitive skin. 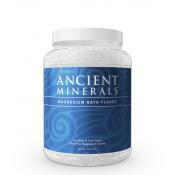 You control how much you add to the tub to support your magnesium levels. You can also mix these up in water to make your own magnesium oil or skincare products containing magnesium. The new magnesium ultra range has the added support of MSM, a form of sulphur known for its detoxification support properties. By combining magnesium and MSM you get a powerful supplement for the skin. Do not apply magnesium oil to broken skin as it can cause stinging. If you have sensitive skin try the magnesium lotion with coco and shea butter, mix it up in a warm foot bath or relaxing magnesium bath, or dilute the magnesium oil to half strength by adding water so it is not so concentrated on your skin. Mix up your magnesium chloride flakes in purified water and shake until dissolved. Apply to the skin as needed. You can mix it up to control the strength to suit your skin type. You can also find it in a ready to use spray bottle or a larger size bottle ready made. You Can Trial This Product RISK FREE for 360 Days provided you. Use the product as shown by our staff. Use the product on a regular basis. If you do not notice a significant benefit then anytime in the next 12 months you can bring it back for a full refund of the purchase price. 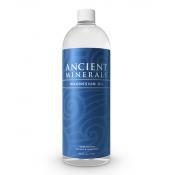 We are the New Zealand distributors of Ancient Minerals Magnesium Products in New Zealand. We provide phone support on our toll free 0800 000 980 number so you can talk to a pharmacist about this product If you are ready to see the benefits of Ancient Minerals Magnesium Chloride Oil for yourself You can order over the phone or buy online. "I talked to Jim the Pharmacist on the 0800 number for 30 minutes seeking nutritional advice... the next week I talked to Sharon for another 30 minutes about other products. I was so amazed to find such a great staff who actually listened and were enthusiastic about Helping me. Because of this now I do all of my pharmacy shopping with them... even though they live at the other end of the country and it is just so easy." Whanganui, New Zealand. You can either try this product now and start absorbing magnesium 12x faster then oral Supplements to restore magnesium levels. Or continue to deal with the symptoms of magnesium deficiency. Ask Yourself This Question: What have you got to lose? 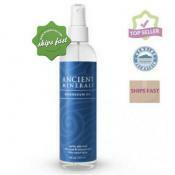 You can try Magnesium Chloride Oil Risk free for 360 Days.